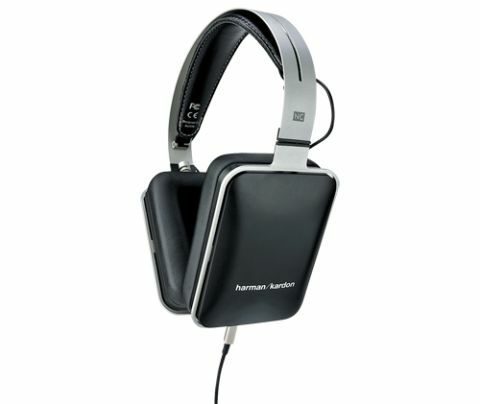 Harman-Kardon NC review | What Hi-Fi? Harman Kardon has turned out some quality cans in recent months. The on-ear CLs and over-ear Bluetooth-toting BTs both got top marks. Now it's time to judge the noise-cancelling Harman Kardon NC. They all share the same design DNA – rectangular, close-fitting earcups, self-adjusting leather headbands and an interchangeable metal bow (for more size flexibility). They fit well too, not sitting too proudly out from your head, and don’t feel as if they’d be pushed off your head on the seat-back as you fall asleep and rest your head gently on the shoulder of the stranger sitting next to you. The NCs’ noise-cancelling chops aren’t quite up to the level set by the Bose QuietComfort 15, but they do a creditable job, with hardly any hiss leaking through. We can’t help wanting a bit more, though – they do well at cutting out constant droning noises, but voices can cut through more than we’d like on occasion. We have mixed feelings about their sound. On one hand, they’re more explicit with detail than the QuietComfort 15s and don’t over-egg their bass, but with that comes a slight brittleness to the treble and a lean quality to the bass that we can’t help feeling could have been a little better balanced. Don’t get us wrong – the NCs present music very well, but they don’t involve you in it like some of their rivals. However, given that they’re £50 less than the Bose cans, they definitely warrant a serious listen before you part with any cash.